Please note that going forwad, Ricoh MFP running on Mac's will be setup to print via the IP port rather than through the server print queue. 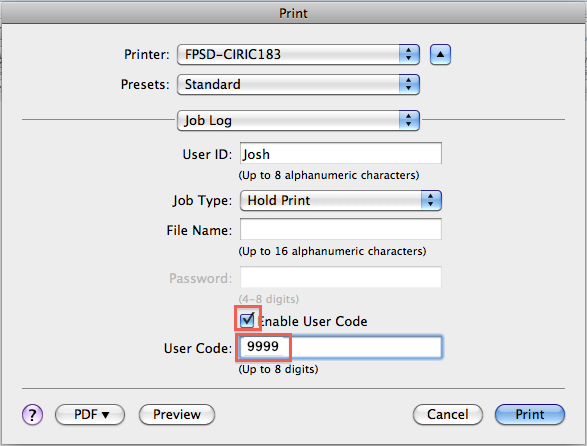 After installing the printer, open up any program and go to file print. If you see this condensed view, click the down arrow for the expanded view. Do 1.1 only if they need "Hold Printing" instead of Normal Printing. 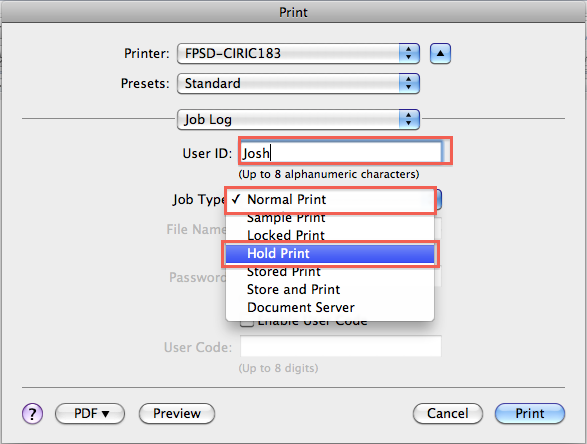 Otherwise, keep as "Normal Print"
Under User ID, enter an identifiable name. It can be your campus username or just your first name if you are in a small department. 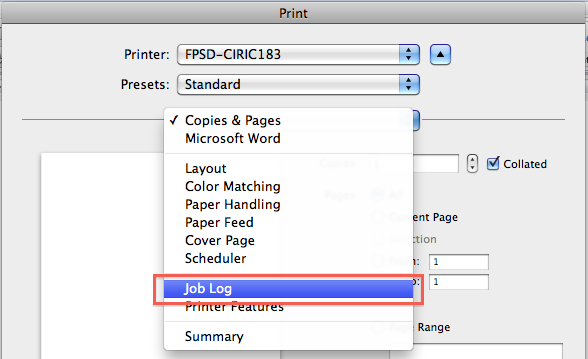 Next, under Job Type you can select either Normal Print or Hold Print. 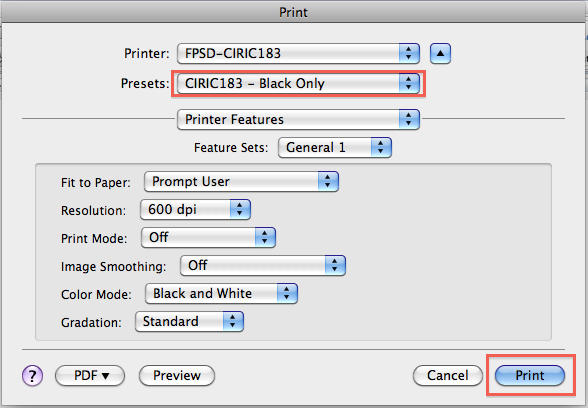 Normal Print prints as soon as you send the job and Hold Print send the job to the printer, but it doesn't print until you release it from the control panel of the device. This is useful if you are in a large area. These next steps are for all users. It is highly recommended you change Color Mode to Black and White. This saves your department money and you can always come back and change it to Color as needed. 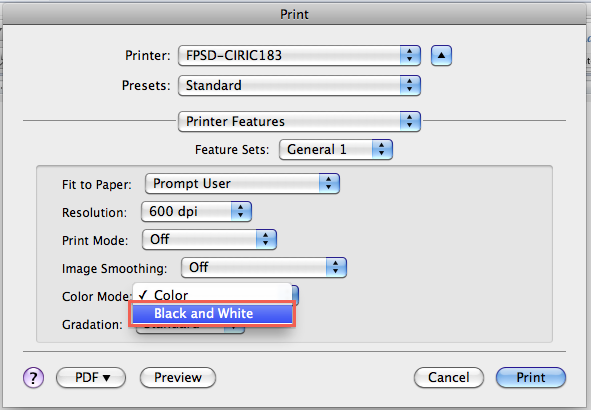 Print a test document. 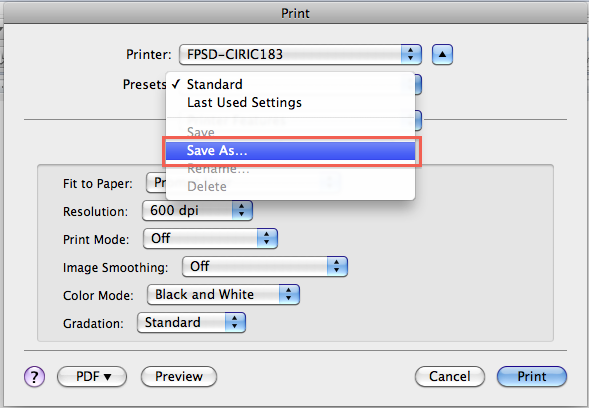 This will save the preset as the new default for that printer.